Angled x-shaped table supports bring some flair to this otherwise minimalistic table collection. With such a gorgeous earthy tone, this antique light oak finished table doesn’t need much more than a plank style table top to showcase as much wood grain variety as possible. Perfect for any home setting that wants a touch of calming natural hues. The Bryanna Rustic 3 Pc. 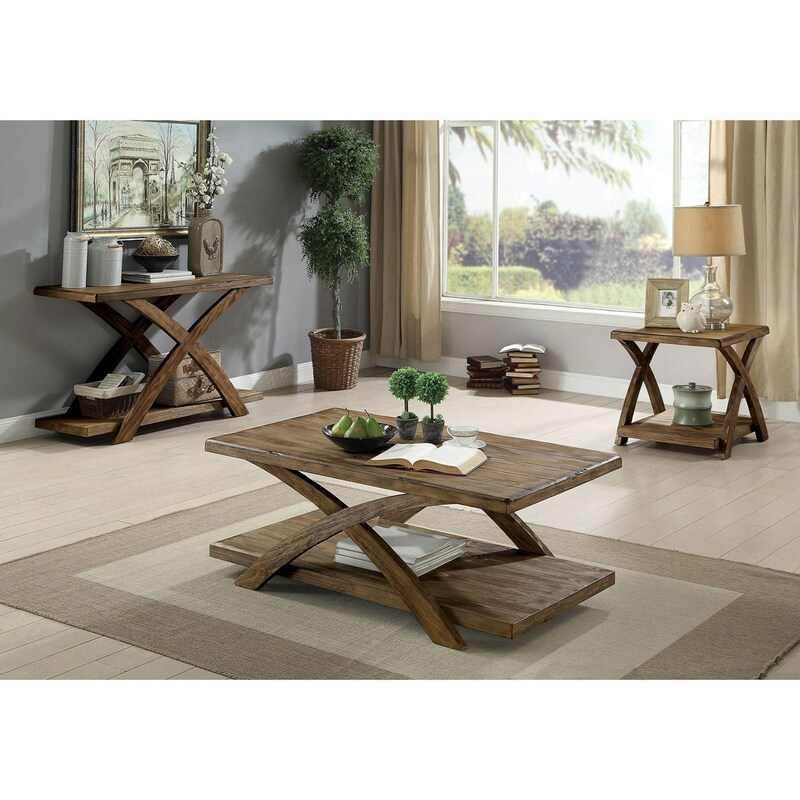 Occasional Table Set by Furniture of America at Furniture Superstore - NM in the Albuquerque, Los Ranchos De Albuquerque, Rio Rancho, Santa Fe, Corrales, NM area. Product availability may vary. Contact us for the most current availability on this product.